In September 2015, the world came together in New York to adopt the 2030 Agenda, which seeks to end extreme poverty, inequality, and combat climate change by 2030. Here, ACGC will provide resources to help you both understand the Sustainable Development Goals (SDGs) so you can take action in your community. To learn more, visit the UN Sustainable Development Goals website, as well as the popular Global Goals campaign website. ACGC is On The SDG Map: You Should be Too! Register the actions you will take to raise awareness, accountability or impact for the SDGs on September 25. Groups and individual participants who are registered organizations will be part of the Action Partners. Actions selected will be featured at the at the Global Day Studio at the United Nations Headquarters in New York. Find the details. This Agenda is a plan of action for people, planet, and prosperity. It also seeks to strengthen universal peace in larger freedom. We recognize that eradicating poverty in all its forms and dimension, including extreme poverty, is the greatest global challenge and an indispensable requirement for sustainable development. Visit the Data Hub and explore how Canada is achieving the goals! Statistics Canada is central focal point for reporting Canada’s data for the global SDG indicators and works as a co-ordinating body for the National Statistical System. Statistics Canada is responsible for the collection, collation, analysis, presentation and dissemination of data for regular monitoring of Canadian progress against the global indicators and has developed this on-line data hub for disseminating Canada’s SDG data. 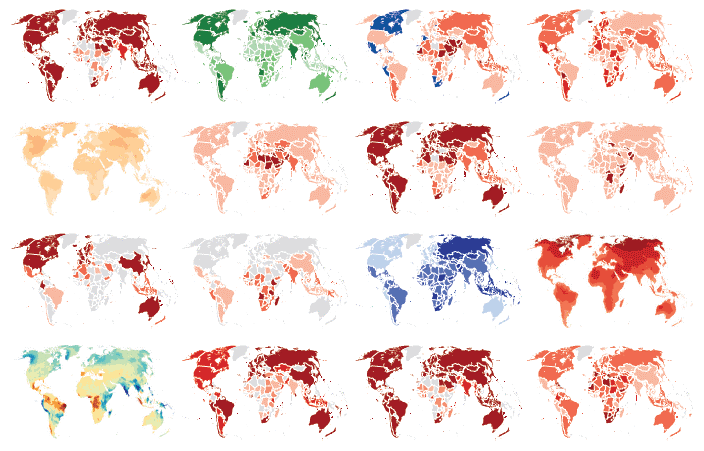 The Atlas is built around World Development Indicators 2017 — the World Bank’s compilation of statistics from over 200 economies about global development and the quality of people’s lives. 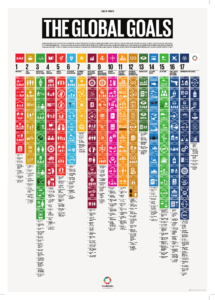 For each of the 17 Sustainable Development Goals, selected indicators have been identified and visualized to analyze trends and challenges, and to stimulate discussion on measurement issues. You can browse the Atlas online here, or download it as a PDF. It is accompanied by interactive dashboards of SDG data and all the underlying data is available in the World Development Indicators database. This short course is designed for educators and all those who would like to teach children and young people about the Sustainable Development Goals, commonly known as the Global Goals. It is intended to support the teaching of the World’s Largest Lesson and all other efforts to educate and engage children and young people so that they support the Sustainable Development Goals and want to turn their support into action. Do the online training on the Microsoft Educator Platform! 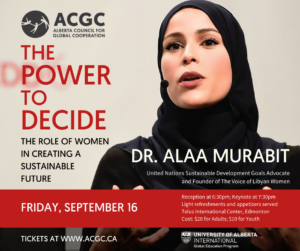 ACGC was pleased to have Dr. Alaa Murabit give our keynote address at ACGC’s Annual Conference in Edmonton in September 2016. Hailing from Saskatchewan, Dr. Murabit is a medical doctor, a UN High-Level Commissioner on Health, Employment & Economic Growth, and one of the 17 Sustainable Development Goals Advocates. Listen to a podcast of her presentation. ACGC has created a PowerPoint presentation to help teachers facilitate awareness about, and reflection upon the 17 Global Goals, over the course of 17 weeks! Each week, use the proposed question as journal writing or discussion prompt, and watch a video from an ACGC member organization working on that particular SDG. 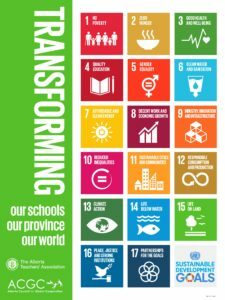 Alberta teachers can download a poster about the SDGs for classrooms, made by ACGC and the Alberta Teachers’ Association. 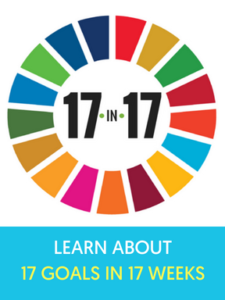 This Poster from the Global Goals Campaign shows all the 17 SDGs and the individual targets. This poster is A2 size, printing at 16.5 x 23.5 inches. 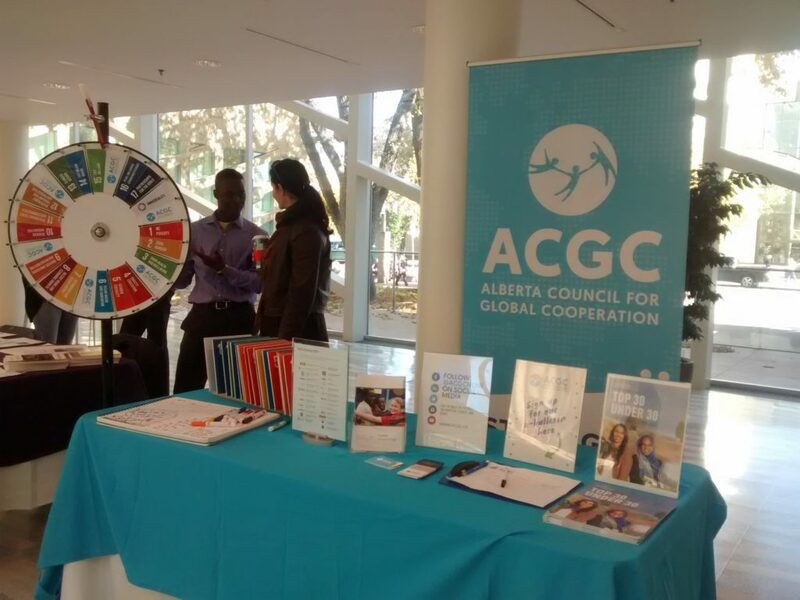 ACGC has an ‘SDG Wheel’ and SDG placards to help educate audiences about the SDGs in a fun manner! Contact ACGC at projects@acgc.ca if yo u would like to borrow this for an event, of if you’d like ACGC to set up a display at your event! Be sure to check out The Worlds Largest Lesson for videos, lessons, comics, and more, all related to the SDGs! The publication intends to guide readers on how to use education, and in particular ESD, in achieving the SDGs. 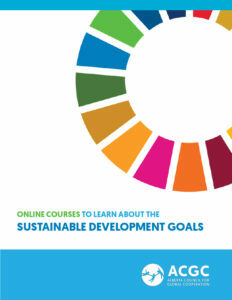 It identifies learning objectives, suggests topics and learning activities for each SDG, and describes implementation on different levels from course design to national strategies. The document aims to support policy-makers, curriculum developers and educators in designing strategies, curricula and courses to promote learning for the SDGs.